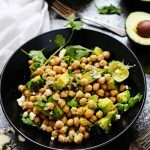 This 10-Minute Guacamole Salad with Chickpeas has all the traditional elements of a great guacamole and makes a healthy, protein and fiber-filled dish that’s perfect for lunch or dinner. When I make a bowl of guacamole the chips are optional. I could eat it by the spoonful. Same thing with salsa… I’m only a “carb-person” when it comes to pasta – I could take or leave the chips, bread, the potatoes and the rice. Salsa without the chips? You could almost consider that a salad of sorts… But, the guac? That’s kind of gross, right? (Not to me, but…) In an effort to make my habit of eating guacamole by the spoonful more socially acceptable, I turned it into a salad. An absolutely amazing, creamy, tangy, spicy salad that I’ll eat any day of the week. I mean, it’s seriously SO good. I’m using all the traditional ingredients that go into a great guacamole – Plenty of avocado, fresh squeezed lime juice, cumin, jalapenos, cilantro – And then I’m turning it into an eat-by-the-huge-spoonful, make-your-coworkers-jealous salad by adding chickpeas and a sprinkling of cotija cheese. Seriously – Lunch just got a whole lot more exciting. Another bonus? This healthy salad comes together in just short of ten minutes. It’s a quick way to add some protein, fiber and healthy fats to your diet. Plus, it will keep you full and energized throughout your busy day. Quick note on the cotija: Cotija is a Mexican cheese that crumbles easily and has a nice tang to it. Look for it in your local market next to the packaged cheeses. If you can’t find it, feel free to substitute feta in its place – It’ll be equally as delicious! 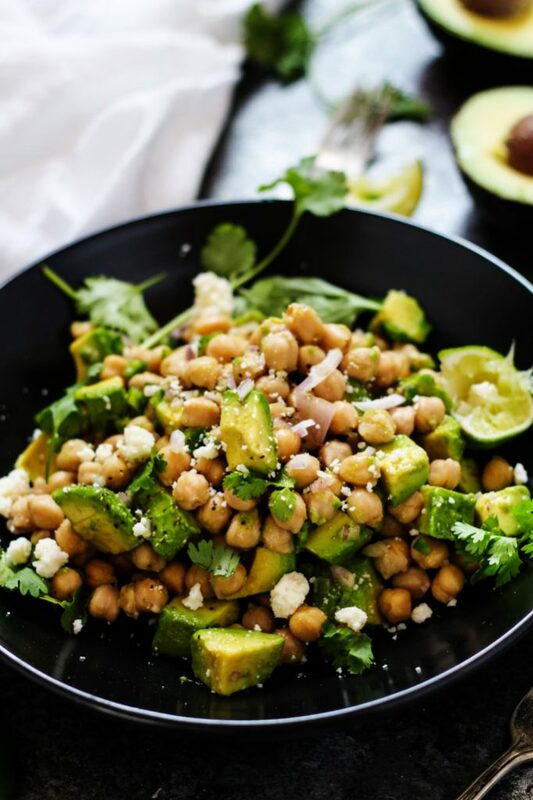 This 10-Minute Chickpea Guacamole Salad has all the traditional elements of a great guacamole and makes a healthy, protein and fiber-filled dish that’s perfect for lunch or dinner. 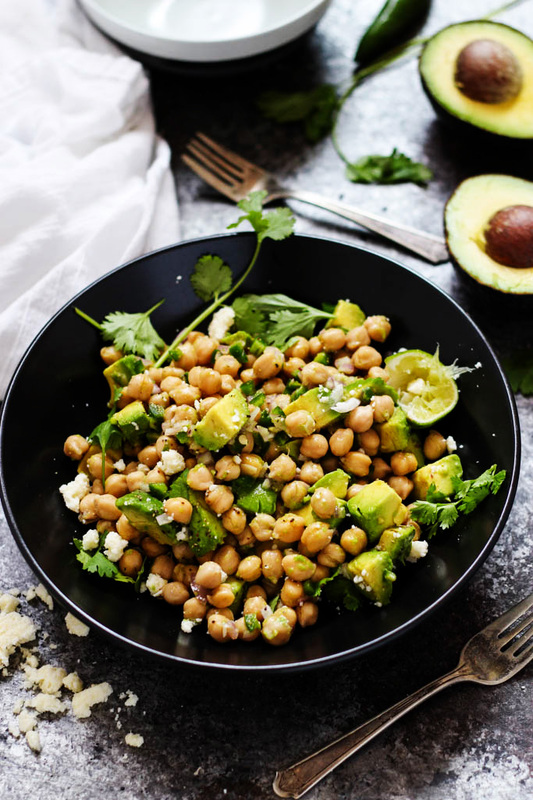 Add chickpeas, avocado and shallot to a large bowl. In a small bowl, combine kosher salt, cumin and cayenne. Stir to combine. Sprinkle the spice mixture over the chickpeas and avocado and add lime juice and jalapenos. Stir gently to combine. Top with cotija cheese and cilantro. Serve. 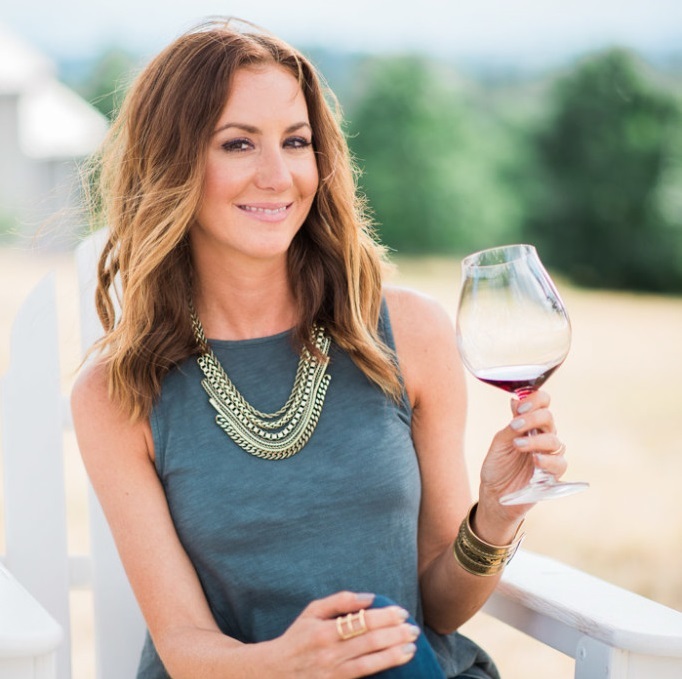 Look for white wines with grassy, herbal notes – Try a Sauvignon Blanc, Pinot Gris, or dry Riesling. Looking for more ways to get your guacamole fix? Try these Quinoa Taco Bowls with Guacamole. AKA when pantry staples become magical! Right? I seem to always have a can of chickpeas on hand. This is the perfect meal to have..every night leading up to Feast haha. Healthy, delish but not going to make you feel full. I can’t wait to see you at Feast! Totally! Good plan Rachel 😉 Looking forward to seeing you at FEAST too! You already had me at guacamole! What a smart way to have these healthy fats in a more healthy way then the chip or bread vehicle that is normally used! I just recently discovered cotija cheese Erin! Love it and this salad! Oh man this looks delicious. Though when I first looked at the pic I thought, “Oh I’d love to dig in there with some sturdy tortilla chips!” 😉 Though I’m sure it’s just as tasty going carb-free without the chips as a serving utensil! Sauv blanc is a great choice too. Love it for dishes heavy in lime or other citrus flavors! I love how quickly this comes together and that it’s so healthy! What a great dish to whip up in the middle of a busy work day at home. Can’t wait to try this! Love a quick and healthy fall salad. Thanks for making my lunch easier this week! How much cayenne would you suggest using? Directions mention it but not listed in ingredients. Hi Christine – I would add 1/4 tsp. of cayenne if you really like a lot of heat. Without it, there is still a good heat level because of the jalapeno. And, jalapenos can vary quite a bit in their heat level. I would taste it first without the cayenne, and then add some if you’d like to kick it up a bit. Enjoy!